Being gas powered the M40A5 allows for the most realistic sniper experience, that can be had with a single action bolt operated rifle. The operation of the bolt is light, fast and smooth. Add to that, a super crisp trigger pull and the result is quite possibly the best out-of-the-box airsoft sniper rifle, available today. 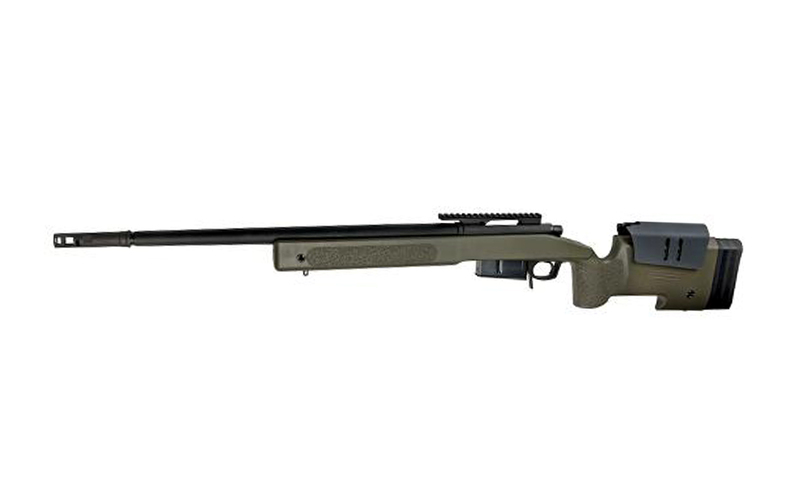 The M40A5 is a fully licensed bolt-action airsoft sniper rifle. It is a 1/1 scale replica of latest sniper rifle platform used by the united States Marine Corps. It has all the standard M40A5 features, such as an adjustable cheek rest and stock to make it more comfortable for the user and a rail for mounting scopes. An optional front rail is available for mounting other tactical equipment.